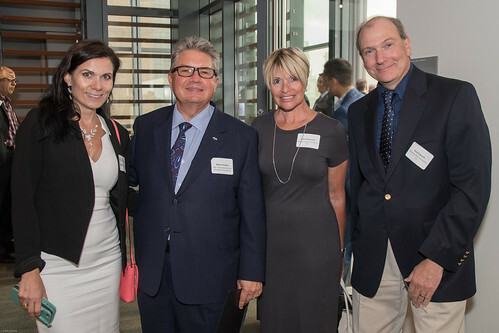 On Wednesday, July 26th, 2017, over 250 attendees from twelve different international chambers gathered at the Summer 2017 International Business Networking Reception hosted by the Chilean & American Chamber of Commerce of Greater Philadelphia. 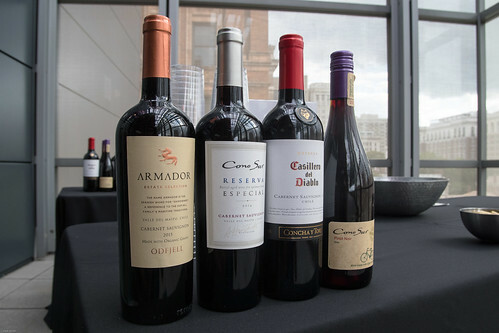 The event was held on the fifth floor of National Museum of American Jewish History, as networkers gathered and enjoyed wine, courtesy of Wines of Chile USA, on a balcony overlooking the historic Independence Hall. This was the seventh consecutive year for the event, and featured members from partnering organizations including: Asian American Chamber of Commerce of Greater Philadelphia; British American Business Council of Greater Philadelphia; French-American Chamber of Commerce; German American Chamber of Commerce; Greater Philadelphia Hispanic Chamber of Commerce, Irish American Business Chamber & Network, Inc.; Italy-America Business Council and Network; Mid-Atlantic – Eurasia Business Council; Norwegian-American Chamber of Commerce; Philadelphia-Israel Chamber of Commerce; and Swedish-American Chamber of Commerce of Philadelphia. 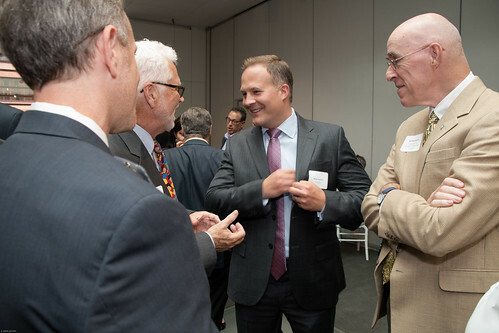 Attendees enjoyed food and beverages as they conversed and listened to welcoming remarks, courtesy of Robert Palaima, President & Chairman of the Chilean & American Chamber of Commerce of Greater Philadelphia, before Keynote Speaker, Councilman At-Large David Oh, Chairman of the Committee on Global Opportunities and the Creative/Innovative Economy and Minority Whip for Philadelphia City Council, was introduced. 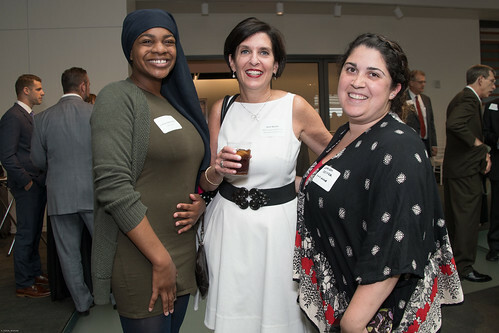 Palaima thanked those in attendance and acknowledged the reception’s Corporate Sponsors: Aramark, Delaware River Stevedores, Inc., Temple University’s Fox School of Business CIBER, Klasko Immigration Law Partners, LLP, Santander Bank, NA, and Wouch, Maloney & Co., LLP for their generous support of the night’s event. 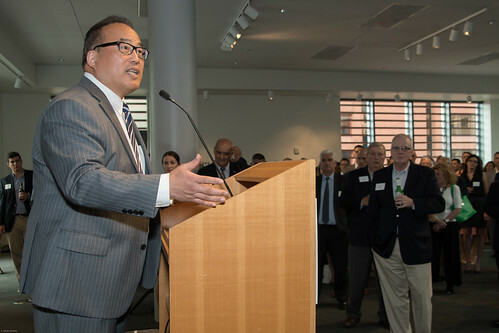 Once Keynote Speaker Councilman Oh had concluded, Robert Palaima retook the stage and began the business card raffle for the evening, which featured prizes on behalf of the Chilean & American Chamber of Commerce of Greater Philadelphia, Philadelphia-Israel Chamber of Commerce, British American Business Council, Irish American Business Chamber & Network, Inc., and the French American Chamber of Commerce. 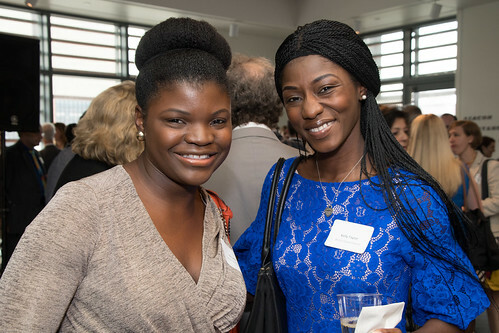 Thank you to all attendees, sponsors, and partnering organizations for making the Summer 2017 International Business Networking Reception such a success, as well as the National Museum of American Jewish History for their hospitality, and Day by Day Catering for the delicious food and excellent service. 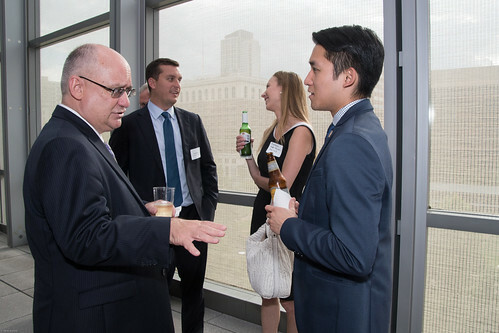 For more photos of The Summer 2017 International Business Networking Reception, please visit our Flickr page.